Following it’s sell-out run here at Young Vic last year, A View from the Bridge has transferred to the Wyndham’s Theatre in the West End and has received rave reviews from audiences and critics alike. Click here to see the amazing audience response so far and check out the five star reviews below. A View from the Bridge runs at the Wyndham’s Theatre in the West End until 11 April. To book tickets click here or call 020 7922 2922. More tickets available for every performance through Delfont Mackintosh – click here to book or call 0844 4825138. Can’t make it to the show? NT Live will broadcast the production live from the West End to cinemas around the world on Thursday 26 March. For more info on venues and to book cinemas tickets, click here. A View from the Bridge has won two Critics Circle Theatre Awards at this year’s ceremony. Ivo van Hove has picked up the award for Best Director and Mark Strong has won Best Actor. The show sold out before it even opened at the Young Vic last year, and we’re thrilled the show has been recognised just two weeks before the much-anticipated West End transfer opens at the Wyndham’s Theatre. Ivo van Hove’s production was named Best London Show of 2014 by the Evening Standard, it topped the Independent’s Best Theatre of the year list and bagged the number one spot in the Guardian’s top theatre of 2014. 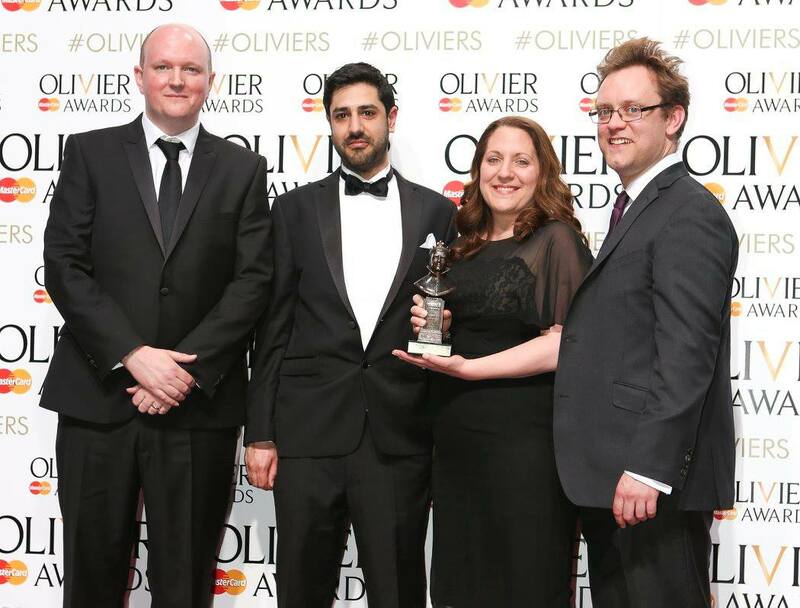 As well as A View from the Bridge, our co-production with 1927 has also been recognised at today’s ceremony, with Golem’s Paul Barritt picking up the award for Best Design, joint with Es Devlin. 1927’s Golem at the Young Vic. Photo by Bernhard Muller. Following three Critics’ Circle Award wins in 2013, for A Doll’s House, Wild Swans and Three Sisters – plus Best Musical for The Scottsboro Boys in 2014 – the YV has once again taken home three awards this year. Don’t miss your chance to catch A View from the Bridge in the West End as it returns for limited run of just 8 weeks from 10 Feb. To book, visit youngvic.org or call our Box Office on 020 7922 2922. And don’t forget NT Live will broadcast the production live to cinemas around the world on 26 March, find out more about venues and cinema tickets here. More tickets available for every performance of A View from the Bridge through Delfont Mackintosh – click here to book or call 0844 4825138.